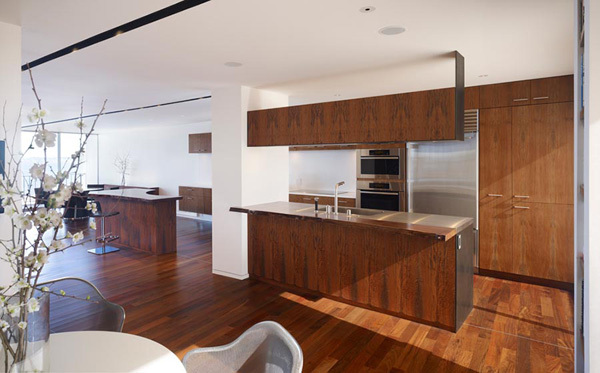 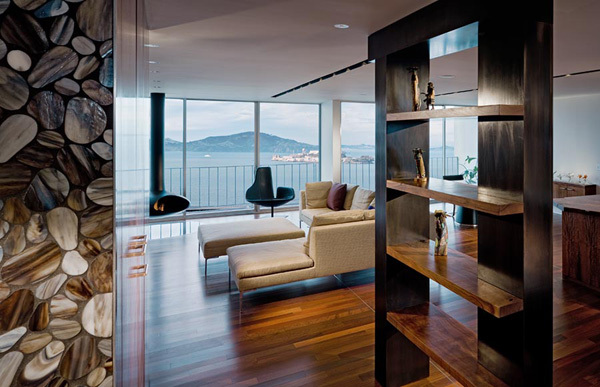 This luxury penthouse apartment in San Francisco, USA, designed by California architect Craig Steely has a stunning interior. 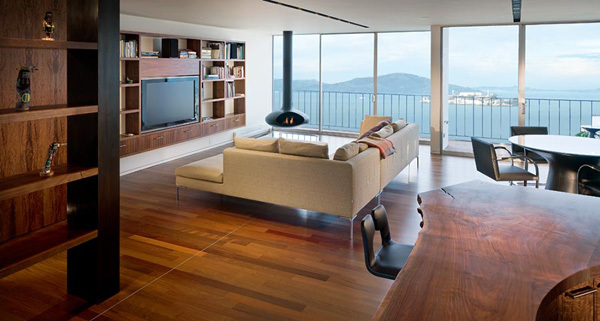 Open-concept space provides privacy, but lets you appreciate its thoughtful and impeccable detail. 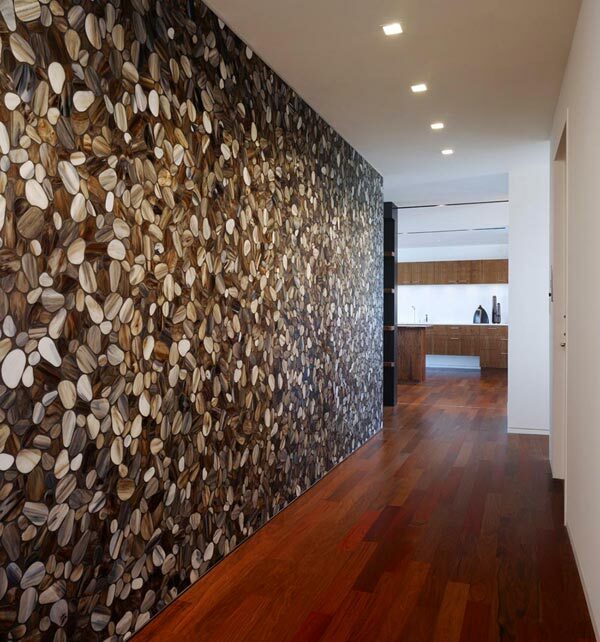 We love eco-friendly natural materials in the ultra-modern elements, in the urban chic environment. 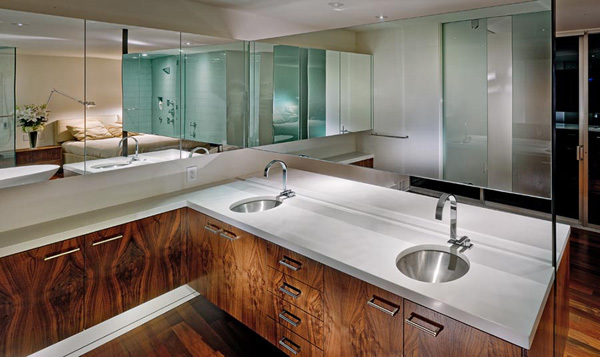 From the delicious bathroom and wood kitchen, the richly finished walnut floors, and to the floor-to-ceiling glass the flood every place in the luxury penthouse apartment with natural light.